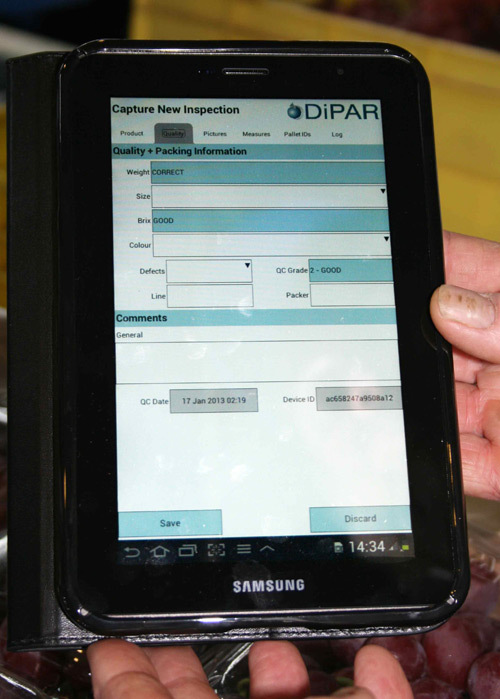 Exsa has started using DiPAR Mobile QC software written for tablets which has eliminated the need of putting pen to paper during the quality control process. 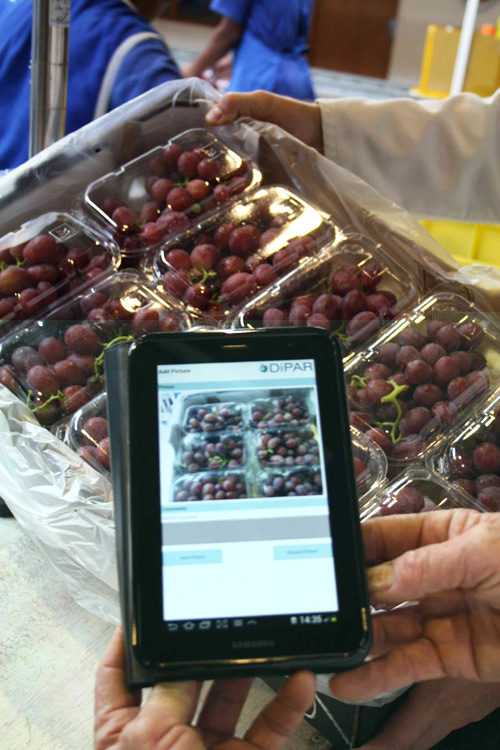 This innovative new tool has changed the way we do quality control and significantly cuts down on the time spent documenting quality control during harvesting and packing of their grapes. The images of the product are not general images of the variety but actual pictures of the fruit currently being harvested and packed. The real time information flow is also very useful for the marketing team to show the images to our clients. We have introduced a new standard inner packaging with optimal perforations according to international trends. This follows the 2012 introduction of a new prototype carton, the Super Vent punnet and 9kg carton. Improved inner packaging perforation and carton ventilation allow for the more effective extraction of moisture from the carton. This innovation reduces electricity consumption less electricity, thus lowering our carbon footprint in the process. 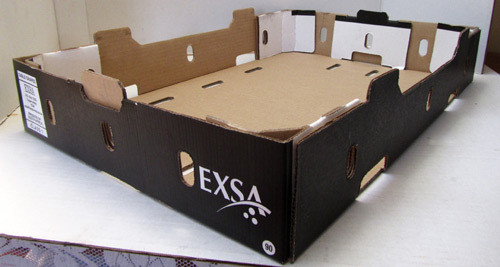 The absence of free moisture in the carton significantly benefits the storage capacity and quality maintenance of the fruit. This improvement also allows faster shipment of our fruit to the market. The SmartPac liner is a carton liner bag impregnated with SO2 (Sodium Metabisulphate) which represents a technological advance with benefits to the grape grower, the receiver, the retailer and to the environment. This system is an improvement on the traditional paper gas sheet insert placed inside the plastic liner on top of the grapes as the SO2 is distributed evenly throughout the carton when the liner is sealed. This preserves the grapes better than the gas sheet and no other preservation devices are needed in the carton. The Uvasis Carton liner is another innovation. This carton inner has the paper gas sheet is built in to the plastic liner and the liner is perforated along the top edge of the carton for easy removal of of excess plastic on arrival for display. We make use if FruitLook.co.za, a satellite imagery website which allows us to see satellite images of our crops on a weekly basis. The images provide real-time informaton on the growth, moisture an mineral content of our vineyard blocks making it possible to monitor the development of the harvest and make timely corrections when required. Images are make available every week during the growth season from October until April and this government sponsored service i available for all vineyards and deciduous fruit trees in the Western Cape. We make use of the agricultural services of Agrimotion which makes use of aerial imagery filmed by flying drone cameras. This is part of Afrimotion’s Imagery and Management Practices Integration service which maps vineyard blocks from above to identify areas of variation within the vineyard and then apply technical skills to identify the limitations within those weaker areas. The outcomes are improved vineyard uniformity, through combining sound advice with a GIS foundation for better spatial management.